This question does not have its' answer in the difference between the two forms of the Latin Rite as both rites employed the liturgical colour purple during the penitential season of Lent! In the twelfth century, Pope Innocent III was the first to specify the colours of the vestments that were to be used for the Roman Rite; almost certainly this reflected prevailing custom in Rome, not an invention on his part. Although a separate subject from this article, it is well to remember that it was only towards the end of the 1st Millenium that the question of vestment colour became a significant one.Black was designated for penitential and funeral liturgies, but violaceus was indicated as a substitute for black. Pope Innocent’s treatise De sacro altaris mysterio (Book I, chapter 65, which was written before his election as pope in 1198) seems to be the first indication that violaceus had come to be regarded as a penitential colour for the Roman Rite. Even the Lyon Rite chose to employ "Ashen" coloured vestment during Lent and not purple unless ash coloured vestments could not be obtained. Can any historical reason be found as to how or why the liturgical colour purple eventually replaced the traditional black as a symbol of penance within the Catholic Church? Is there a historical reason why the liturgical colour purple eventually replaced black to symbolize penance? Having dived into this question for some time now, I would like to simply postulate a possible response to this solution. At lest until another can come up with a more precise answer. No historical reason seems to be able to be found at the present moment. Is it not possible that the cause of this color change was due to how historical black dyes faded into other colors such as purple? First a little background on the colors involved. It could be noted that priests who celebrate Mass in the Ambrosian Rite (Rite of Milan) wear black vestments during Lent. Pope Paul VI was the Archbishop of Milan before being elected as Supreme Pontiff of the Catholic Church in 1963. The liturgical color for Lenten feriae is that of strict penance: black. Here are the colors others than black that are of interest in either the liturgy or colors worn by Catholic prelates. In the twelfth century, Pope Innocent III was the first to specify the colors of the vestments that were to be used for the Roman Rite; almost certainly this reflected prevailing custom in Rome, not an invention on his part. Although a separate subject from this article, it is well to remember that it was only towards the end of the 1st Millenium that the question of vestment color became a significant one. Black was designated for penitential and funeral liturgies, but violaceus was indicated as a substitute for black. Pope Innocent’s treatise De sacro altaris mysterio (Book I, chapter 65, which was written before his election as pope in 1198) seems to be the first indication that violaceus had come to be regarded as a penitential color for the Roman Rite. Whilst I suggest that it is an error to interpret Innocent’s violaceus as intending only the color violet as we recognize it today, it should also be noted that his treatise in a separate section (Chapter 32) discusses the use of the Mosaic colors (cf Exodus 28:5) scarlet, flax-gold, blue and purple, the latter which Innocent describes as signifying the authority and royal dignity of a bishop. In short, purpura still had the connotation of prestige in the time of Innocent III (quite distinct from a penitential use). These lengthy articles show well that both the colors violet and purple were definitely colors of status. The purple that was reserved for bishops and Monsignori is actually fuchsia or amethyst. 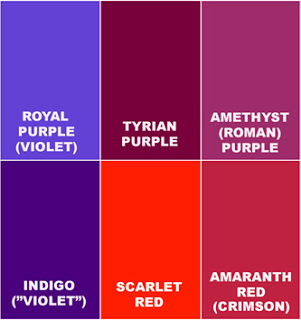 Pliny described Tyrian Purple as being the color of clotted blood and thus closer to the scarlet color of cardinals. We can go on and on, but we seemingly can not find out how purple became associated with penance, remorse or mourning and eventually replaced black as a liturgical color. Thus in conclusion, I would like to put forth that it may have been due to the fact that black dyes were notorious for fading. Well, not anymore, but it was. Could it not simply be that parish churches in past centuries could not afford new vestments and continued to use their black vestments, even after they lost their black coloring and faded purple or some shade of purple thereof? The idea behind using liturgical colors is to emphasize the mood of the observation. So, for example, black may be used on Good Friday to symbolize death, while white may be used on ascension day to symbolize everlasting life. Violet is used on Holy Saturday (the day after Good Friday) to symbolize restoration. There is a history of dyeing something "black" that fades into purple, but as improvements developed, the two were separated. Purple was a substitute for black at one time, not because the two colors symbolized the same idea, which they didn't, but because of the quality of dye. Once "technology" caught up with symbolism, the two separated. Black is the end, death, without hope of restoration (from a human perspective, leaving aside the question of indulgences). Violet symbolizes penance, the chance of restoration, while still alive. 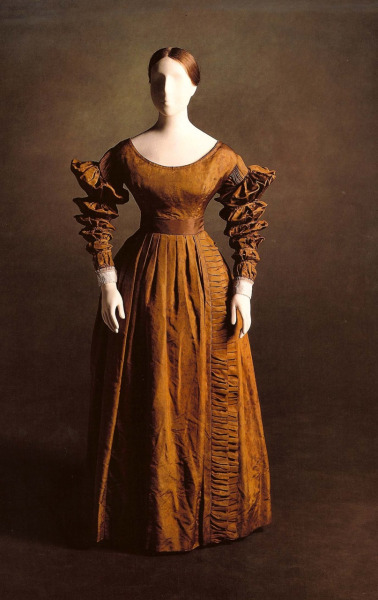 I guess more in a historical sense, it is harder to make purple dye than it is black and therefore more expensive. You would wear, your purple outfit because it is the most expensive thing you have. You would be honoring God by showing him that he is worth wearing an expensive garment. Think of it like, a man wearing a nice suit at a wedding. You want everyone to know you are dedicated. Not the answer you're looking for? Browse other questions tagged catholicism tradition symbolism liturgy vestments or ask your own question. Why are there Sybils and Prophetesses in the Sistine Chapel? Why is purple the color of Lent? Why are there fourteen stations of the cross? Why do people call Mary Magdalene the “Black Madonna”? What is the significance of colour purple in the robe that Jesus was made to wear?